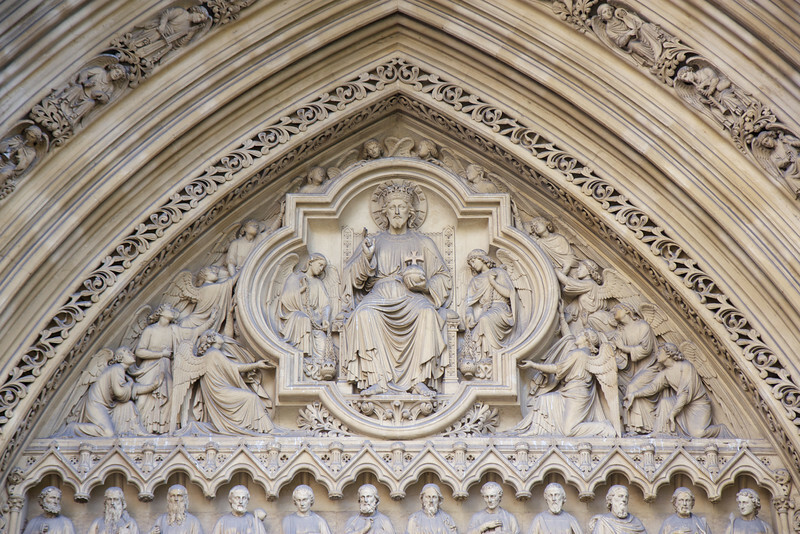 Westminster Abbey is a Gothic church located west of the Palace of Westminster. A church was founded on the site in the 7th century; construction on the present church began in 1245 on the orders of Henry III, who wanted the site for his burial. Work continued between 1245 and 1517 and was finished during the reign of Richard II. Until the death of George II in 1760, most kings and queens were buried in the abbey. Geoffrey Chaucer was buried there and other poets, writers, and musicians were buried around Chaucer in what is known as Poets’ Corner. Isaac Newton and Charles Darwin are also buried there. See Wikipedia for more detail.